The Vatican news agency, Agenzia Fides, brings encouraging news to the Society of African Missions and the family and friends of Fr. 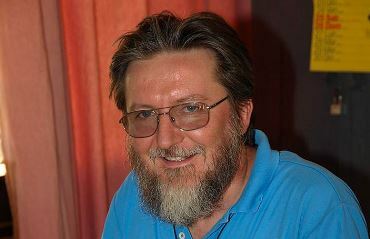 Pier Luigi Maccalli, for whom we have been praying constantly since his abduction last September. Responding to the news, delivered by the Bishop of Niamey, Fr. Michael McCabe SMA, Provincial Leader, has asked us to continue with our prayers until Fr. Luigi is safely returned to his family, friends and confreres. To read Fr. Michael’s call for special Advent prayers, please click here. “The Bishop of the diocese of Niamey, Mons. Djalwana Laurent Lompo, affirms that Fr. Pier Luigi Maccali, SMA missionary kidnapped on 17 September is alive and well. For security reasons he could not reveal the elements on which the news is based, but he asked us to believe that he speaks in sincerity and truth”: said a report sent to Fides by Fr. Désiré Salako, of Beninois nationality, of the District of the African Mission Society for (SMA), District Superior of the Society for African Mission (SMA) of Benin-Niger, territory to which the mission of Fr. Pier Luigi Maccali, SMA missionary abducted (see Fides 17/9/2018) and sill in captivity, belongs. “The main concern of the Niger authorities and also of the Italian embassy in Niamey, is the safety of Fr. Gigi, and that no action taken may endanger his life ” continues Fr Prada. “We all hope that this event will have a successful ending without useless violence. This is why, said Fr. Desiré, we must have patience. Time passes and apparent silence and lack of news must not be interpreted as inactivity. On the contrary it is a fruitful atmosphere for the sides to have contact with discretion and reciprocal trust.”. Fr. Salako expresses gratitude for prayers offered in many parts of Italy and in other countries for the release of Fr. Gigi and others held prisoner in Sahel. “Let us pray for peace and harmony in Niger, for the serenity of the small Christian flock in that country . Let us continue to pray with insistence, perseverance and trust keeping alive the flame of attention and affection for Fr. Gigi”, says Fr. Prada, asking for prayers for those “involved in the efforts for the release of Fr. Gigi and the other hostages, that they may be enlightened by the Holy Spirit and find opportune means to conclude their efforts successfully”, he added.